» Gleim CPA Review Discount Code Best Price! Save 15%-50%! Looking for the best Gleim CPA Review discount? The team at Gleim CPA Review has shared an exclusive discount for our readers. The Gleim CPA Review discount auto-applies in your cart — no promo code is required. However, you must checkout online using the links above in order to activate the discount. So, the Gleim website is a bit difficult to navigate when it comes to finding the individual sections of the course. In my screenshot below, you can see that all you need to do is click on the text that says “Or purchase by section below”. Click the blue text under the orange and white buttons to view section options. Where is the Gleim CPA Coupon Code Box on the Gleim Website? Gleim CPA has simplified the checkout process. So, all you need to do to access the Gleim CPA Review discount is use a link to activate the savings. There are no coupon code boxes on the Gleim website because the discounts are embedded in the individual Gleim links. How easy is that?! Therefore, just click a link below to activate your Gleim CPA savings! For ease, I’ve included all the best Gleim CPA discounts below, plus Gleim discounts for their other best-selling review courses. But, are you having trouble applying your Gleim discount? Contact me right away so I can help! 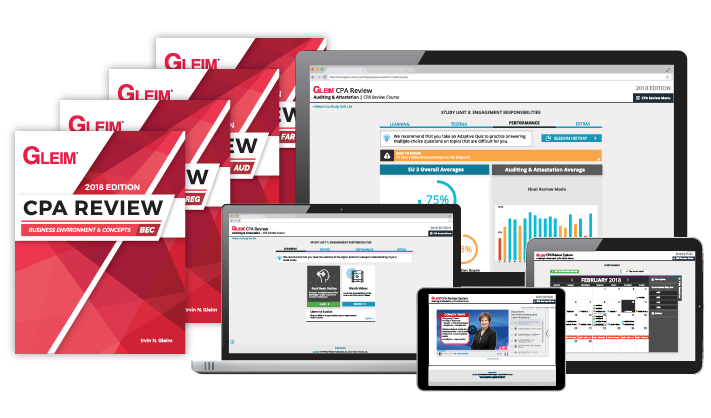 Save 15% on the Gleim CPA Premium Course. The savings only apply when purchasing all 4 parts at once. But what if I only want one section of the Gleim Mega Test Bank? No worries! We have you covered. You can still save on the Gleim Mega Test Bank with our Gleim discount, and you’ll enjoy a 20% savings on individual sections. However, this discount isn’t as amazing as the 4-part discount, so we recommend you buy all four sections of the Gleim CPA test bank at once. Gleim will not and does not discount individual sections of the CPA test bank for more than 20%. Additionally, this test bank is well loved by supplementers. So, if you have Becker CPA, Roger CPA, Surgent CPA, Wiley CPAexcel, or any other non-Gleim CPA review course, you can benefit from this offering. This is because the Gleim CPA test bank includes over 9,000 practice questions and simulations. In contrast, most other review systems don’t even come close to including this amount of questions. Is Gleim CIA Worth the Money? Learn why Gleim CIA is the BEST CIA review course. Read the pros and cons about Gleim CMA. Find out how Gleim EA stacks up. Is Gleim CPA Review the Best CPA Course for You? Save 15-50% on Gleim CPA Review Now! Whether you’re in search of Gleim CPA test bank discounts, Gleim individual CPA section discounts (Gleim AUD discount; Gleim BEC discount; Gleim FAR discount; Gleim REG discount), or Gleim CPA course discounts, you’ll find them all here. We have more information about this course in our thorough evaluation of Gleim CPA review. And, if you’re curious to see if Gleim might be the best option for you, check out our comparison of the best CPA courses. Additionally, you can find real candidate reviews of Gleim CPA here. If you’ve used Gleim to pass the CPA Exam, leave a comment below to let us know if it helped you. We always love to hear from you! Finally, feel free to reach out if you need any assistance from our team! Or follow us on Quora!